Carl studied Law and undertook his professional qualifications at Liverpool University and was admitted as a Solicitor in 2005. Carl began his career at the Legal Services Commission as a Senior Auditor, Appeals Advocate and Legal Caseworker before undertaking his Training Contract at Goodmans in Liverpool. Upon qualification Carl moved to HJ Walker Sibia, a Liverpool City Centre firm where he was appointed to a partnership position within two years of qualification. 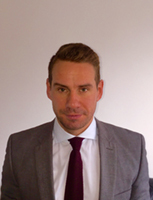 Carl subsequently joined A Halsall & Co in 2010 and became a partner in April 2015. He specialises in Residential Conveyancing, Commercial Property, General Commercial, Landlord and Tenant matters, Wills, Probate, Trusts and the preparation of Powers of Attorney. Carl prides himself upon his relationship with clients, his efficient, pro-active service, technical knowledge and plain, jargon free communication.